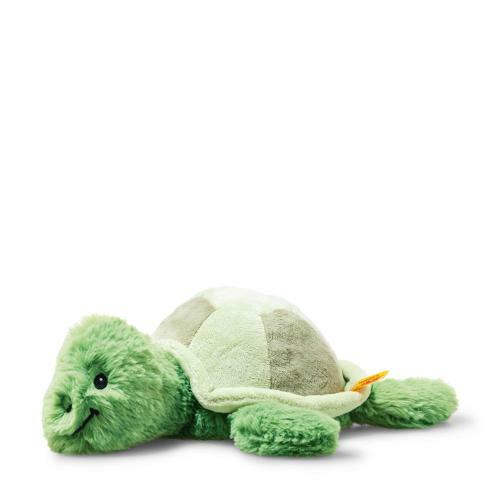 Soft Cuddly Friends Tuggy tortoise measures 27 cm and is made of soft fluffy cuddly plush fabric. The beautifully fine speckled pattern on the cuddly shell is in a variety of green hues. The eyes, nose and mouth are intricately embroidered. Bean bags are sewn into the legs. This makes touching and gripping all the more fun. Tuggy tortoise´s head can also be pushed inside the shell. A really fun toy!